Quibble will depart Lolosia on Monday, October 6th, and won't return until December! Don't miss your last chance to get his time-traveling loot! Reens is about 50% done rebuilding the entire Chaos Saga finale so that we can release its permanent, static version (so that all future heroes to play through the event, too). These changes will fix the quest progression issues that have prevented many players from finishing the finale. The Rares shops and drops in these maps will leave when we release this new version of the event (right now, that is looking like later this week or early next, depending on testing). The more you play, the more rewards you'll unlock! Every time you log into AQWorlds, you've got some goal - whether it's to meet up and battle alongside your friends, rank up your class, or finish that last Chaos Lord Saga - and the sense of satisfaction when you accomplish that goal is one of the best things about playing AQW! 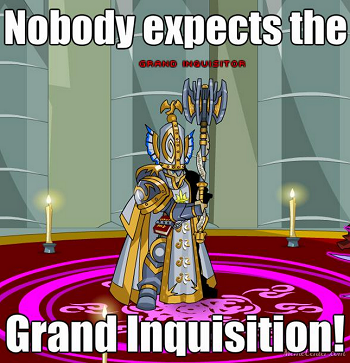 But if you think you've done everything inside AQW and gotten all the best gear... guess again! The Achievement Tracker is HERE! We've made 45 new badges with 150+ all-new reward items for you to unlock, and the Achievment Tracker will let you more easily display those accomplishments to your friends and show you new goals to strive for. Permanent rewards: some of these rewards may take a while to unlock, but don't worry... they will never leave, so you can keep battling towards your goal! And the best news: ALL of the progress you've ever made count towards the Achievement Tracker! So on Friday, be sure to check your Book of Lore to get all of the gear you've automatically unlocked! 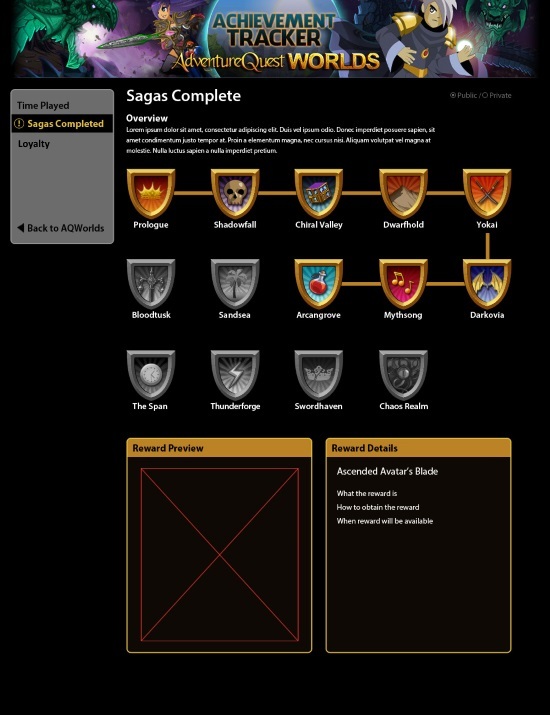 Keep track of the main sagas in the 13 Lords of Chaos that you've completed! Grey badges mean you have yet to unlock the shop. Colored badges mean you can head in-game and find the reward shop in your Book of Lore! Keep track of how old your account is... the longer you've been with us, the more rewards you get! Grey badges mean you have yet to unlock the shop. 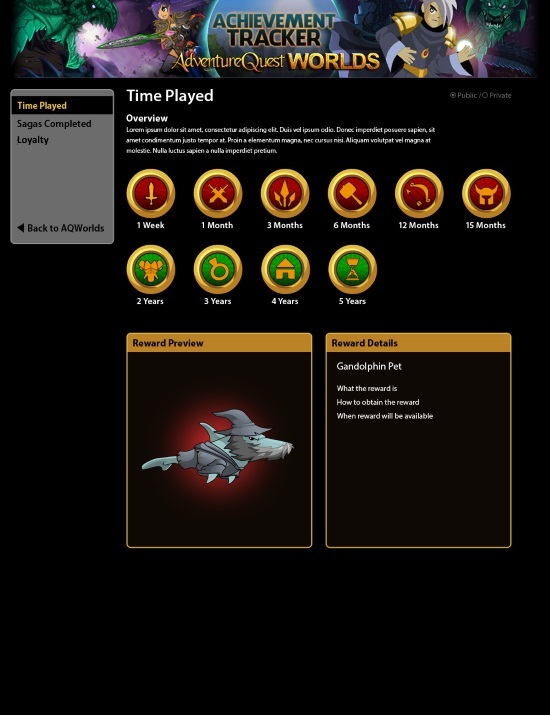 Colored badges mean you can head in-game and find the reward shop in your Book of Lore! 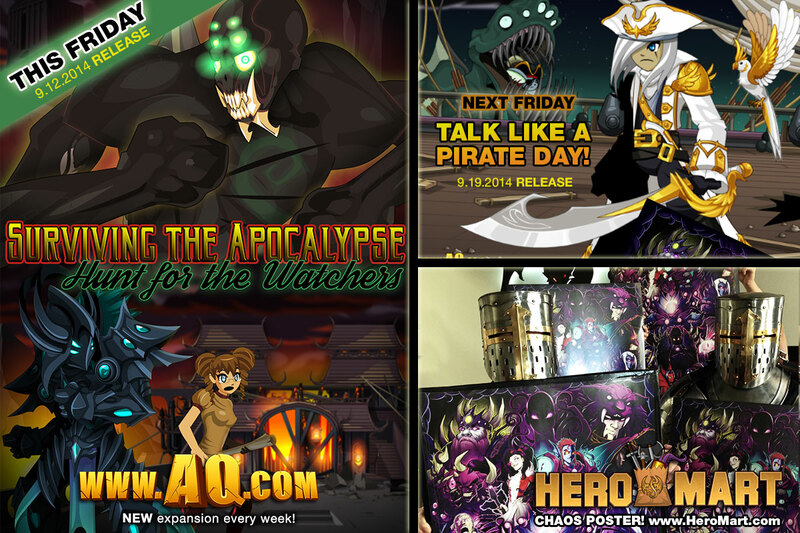 The heroes who support the game by purchasing memberships and AdventureCoins are the lifeblood of AQWorlds! Without them, we could not keep the servers running or so much of the game available to anyone who wants to sign up and play. To thank them, we have several inventories' full of exclusive gear! Each of the items in the Loyalty Achievement category come with a bonus, special item animation... or both as our way of saying THANKS! What counts for the totals? * Morph armor will arrive in-game the next time we roll the new engine. Until then, enjoy parking your bike outside your house! Talk to Barnaby in /pirates to get the TLaPD seasonal tophats! They will be available for a few weeks, until they return next Talk Like a Pirate Day. If you don't see the above changes, please log out, clear your cache, refresh your browser, and log back in. 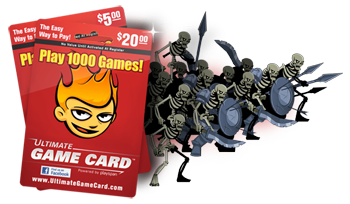 Use Your Ultimate Game Cards By September 30, 2014! The last day to redeem your activated UGC codes will be September 30, 2014, so make sure you redeem your codes before then, or you will not be able to use them to unlock exclusive Legend features inside your favorite online adventure game, AdventureQuest Worlds! For more information, read Beleen's Design Notes post about it here. Find a story with game cards near you! * Note: Ultimatepoints left over on Ultimatepay accounts will no longer work, either. Redeem Major Retail Gift Cards for Artix Points! With Talk Like a Pirate Day here, this is a great time to use PayGarden to cash in any unused gift cards you've got lying around the house, because you're going to want get your land-lubbing hands on this shiny, shiny loot! Check out all the info on Paygarden and redeeming gift cards here! Do you love Dragons? 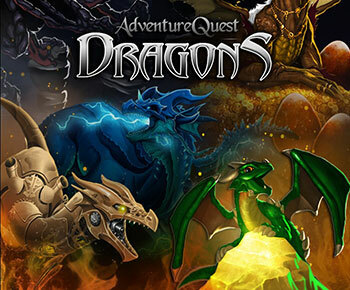 We teamed up with the creators of Cookie Clicker to create our 1st ever idle game... AdventureQuest: DRAGONS! The game is currently in development, but I have been posting concept art, finished dragons, and videos on the official DRAGONS Facebook page and also on my personal Artix Facebook page. Be sure to like and follow it to get the inside scoop and we continue building it. In this idle game, you will hatch and raise 12 Dragons from the fiery Akriloth, the Undead Dracolich to never before dragons including the Steampunk, Slime and Shadow dragons. Each Dragon has a unique story. This new mobile game will run on Apple & Android devices and will also be available on the web. We are scheduled to release this new game next month in October! You should also check out the official www.AQDragons.com website. Some can’t live without magic, others can’t live with it. The Inquisitors hiding in the hollow halls of /join Citadel have made it their goal to persecute every mana user possible. Under the watchful eye of the Great Wizard Murry, you must make haste in setting these misguided Muggles straight! Old Man Murry has had his fair share of encounters with the Inquisitors. From torturous fish slapping to Horc sweat suspension, he’s seen it all. Anyone in their right mind would want to get back at the Inquisitors for their injustice. Fortunately, while Murry seems to have lost his mind years ago, he has a plan to give the Inquistors a taste of their own medicine and needs your help. He needs you to start with Inquisitor Grunts and Guards. Then he encourages you to slowly slice your way up the chain of command to Captains, until finally coming face to face with the Grand Inquisitor himself. After spending ages as a Citadel prisoner, Murry is fairly certain there is more to the Inquisitor’s plan than the eradication of all magic. After borrowing some items to investigate, the Inquisitors seem to use a vacuum device to drain the mana of those they’ve imprisoned. What’s interesting, however, is where the magic goes upon capture. Could these machines actually be powering orbs for the Inquisitors’ own use? Murry has seen enough. It’s time to cut off this beast at the neck. March into the chamber of the Grand Inquisitor, dismembering any who stand in your way. Beating the leader in his own stronghold should be enough to embarrass the anti-magic sediment out of the Inquisitor forces. Time is of the essence in this encounter, as the Grand Inquisitor is too far a coward not to summon backup. If you fail to win the battle in time, his beast, Belrot the Red Fiend, may just be waiting for your carcass. Sitting all day at the base of a mountain looking for heros to help teach Inquisitors a lesson or two on mana management isn’t the best way for Murry to make a living. Lucky for him, those that help tend to have gold galore, so selling his spectacular collection of wares for sky-high prices isn’t too much of an issue. 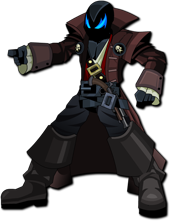 Get your wallets ready heros as though this might be one of the older releases in AQW, the gear in Murry’s shop is still some of the best to date! The Portal is a Lie. Journeying through the mountains surrounding the colossal Citadel, one would come across paths to nowhere, an overly aggressive grizzly bear, and a bloodshot portal to a world beyond. While orange or blue portals with a companion hexahedron are the only portals deemed safe to explore by Loremasters, the pull of the possibilities in this portal are hard to pass up. However, not every hero can enter the portal’s chamber for a bag of 50 Bone Dusts is needed to gain passage inside. I heard that Big Jack Sprat and several of the Skeletal Warriors’ techniques are getting a little rusty. Maybe a quick skirmish with the clumsy skullheads could dust off any bad habits. With the school season in full swing, I’m sure many of Lore’s heros are stuck behind a desk for hours each week. However, the extra stress of reality doesn’t need to push virtual reality onto the backburner. Finding time to play a game or two takes stress off and keeps everyone sane. Thank you to Lazer_AE for his unbearably awesome screenshot. As always please tweet me @ACWOAE with any comments or future Throwback Thursday suggestions! Yarrrrrr You Ready for Piratical Plunder?! Yarrrr! Deep Terror is rising across the world of Lore as Naval Commanders prepare to clash in a seabattle against the Pirates... and they aren’t content to keep the battle abovewater! Defeat the Dread Fleet, or face death from below! And the town of Lolosia is the prize! Talk to Quibble Coinbiter in Battleon to access his shop full of piratical plunder from the past, present, and future... then find him in the /pirates map to begin his quests to get the Avast! character page badge! And more gear (helms, blades, capes, and the Treasure Chest Bank Pet) will arrive this Friday! Note: the fix to make the skin on the Void Commander's chest/thighs color customizable will go live later this week. 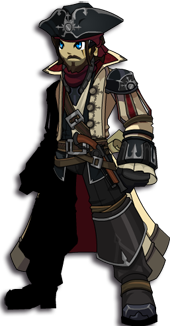 Find the seasonal rare Naval Commander Class from Quibble in Battleon and /Pirates! Everyone can get the Class for 2000 ACs, or Legends can buy a version with gold! Want to find out more info on the Class skills? Check out Zereldo's DNs here. * He has been reading your feedback on the Class skills, and revisions will come later this year to address balance issues. 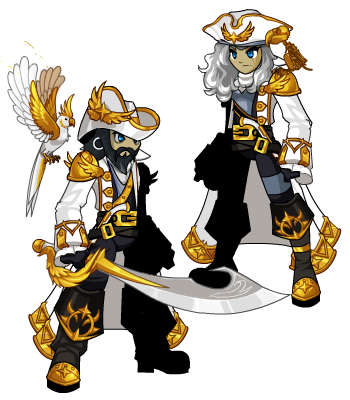 Buy any of the 2014 Naval Commander armors or Class for a chance to win the 2015 Paragon Naval Commander! 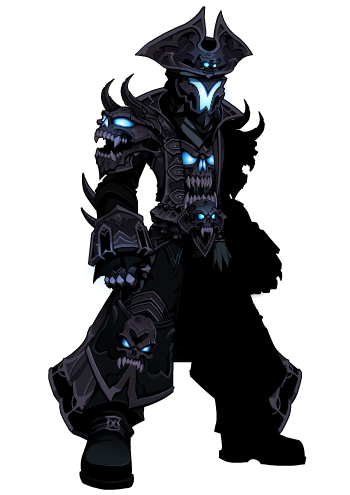 The Paragon Naval Commander armor is one of NEXT YEAR's Naval Commander armors, but for a full year (until the armor is added to the 2015 TLaPD Quibble shop), 100 lucky heroes will be the ONLY ones battling with gear from the future**! And as an added bonus to our Legends, for each month of membership you have, you'll get another chance to win! * Example: if you have 12 months of membership left, and you buy the DoomKnight Naval Commander Armor, you'll be entered into the raffle 13 times. ** When next year rolls around, we will change the winners' armor slightly, (gilding? Cutlass cape? We'll preview this art soon) to show that this was a time-traveling armor set. Today: Design Notes detailing the super-secret feature release... that SHOULD release Friday if all goes well! This week: the skin on the Void Pirate Captain hands will turn color-custom this week. The "all-black" chest skin on the Void Naval Commander will become CC. 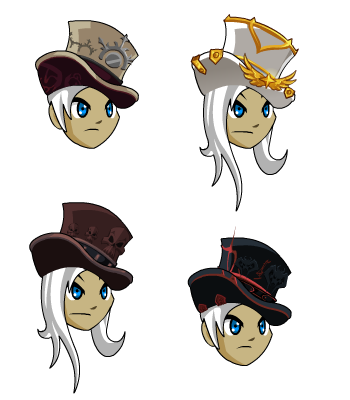 Friday: The seasonal rare naval top hats will return later this week. They will not be tagged, and will only be available during the TLAPD event each year. Friday: Memet's Retro Pirate armors will drop from the boss monsters this week! 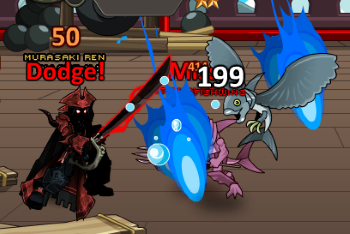 Naval Commander vs Pirates Deep Terror War! Quibble arrives with all new loot! Choose to fight for or against the Dread Pirate Fleet in the Deep Terror War! Explore Lolosia and the lands beyond as you search for hidden treasure! 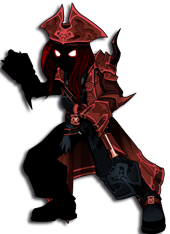 Quibble Arrrrrives with Pirate Gear! As Beleen says, "Pirates be lovin’ some booty! And ye too can plunder yer loot from Quibble’s Treasure Chest now that he's made landfall in Battleon. Quibble Coinbiter, our time-traveling sales-moglin, has brought piratal loot from the past, present, and future to sell to you... for a price! When you're sailing the high seas with a crew of rough-and-ready sailors, you need to command RESPECT... and we've got just what you need to do that: an entirely new class, the Naval Commander!With skills designed by Zereldo and art by Laken, this Class will return each year in our Talk Like a Pirate Day Quibble shop! Everyone can get the Class for 2000 ACs, or Legends can buy a version with gold! * Originally planned to award one prize per day, this changed to having the quest permanently available so that you could farm for all the gear whenever you have time! There is a chance for any of the 5 rewards to drop each time you complete the quest. Preen's Piratical Pets, where Legends can find a stable full of pets to choose from. 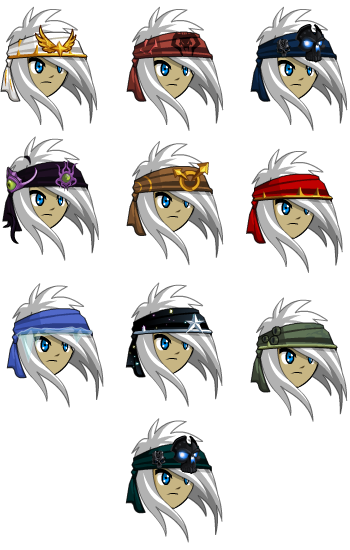 Barnacle's Bandana Shop, where next week, all wanderers can find headgear themed on our most popular piratical armors of yesteryear... if you've got the dubloons to grab'em! The Naval Commander armor that arrives each year with Talk Like a Pirate Day is one of our most popular designs. As with all contests, we reserve the right to award those who go above and beyond! Stay tuned for more details early this week. Talk Like a Pirate Week... Part 2 Next Week! As we prepare for a HUGE release full of gear for all players (details coming Monday), we are also getting ready for the end of the Naval Commander vs Pirates war, exclusive boss drops, and more accessories coming to Quibble's shop! 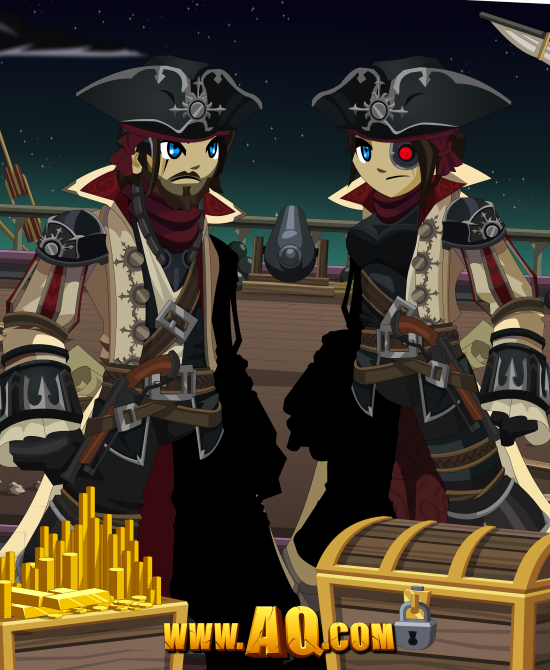 Tomorrow night, talk to Barnaby in Lolosia (/join pirates) to find his High Seas Helm Shop! You'll need to battle the monsters in this weekend's war to get the merge resources to create these bandanical beauties! Barnaby's got a special story for you guys... and it's all about Boxer502! This heroic haberdasher is a regular player with an irregularly-awesome obsession with helms! Tophat-styled helms, to be specific. For the last couple years, Boxer has flooded our twitter accounts with some of the coolest, craziest tophat adaptations of our gear. 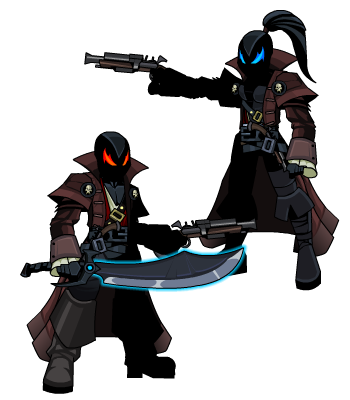 This year, we paired his suggestions with Blade, one of AQW's haberdasheriest (it's a word now, go with it) artists to create the gloriousness you see above. These, too, will be free for ALL players... as long as you battle for the merge items to create them! In addition, Barnaby will also stock the seasonal rare Legend-only merge shop tophats from Boxer that released LAST year! Quibble Coinbiter Returns This Weekend! 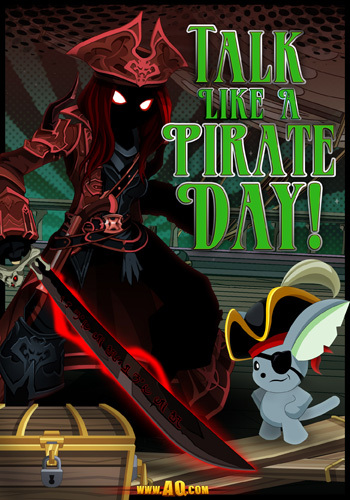 Tomorrow night, log in for the 2014 Talk Like a Pirate Day Quibble shop! We've got a LOT in store, so let's get right down to the news you're waiting for: WHAT will the shop include?! 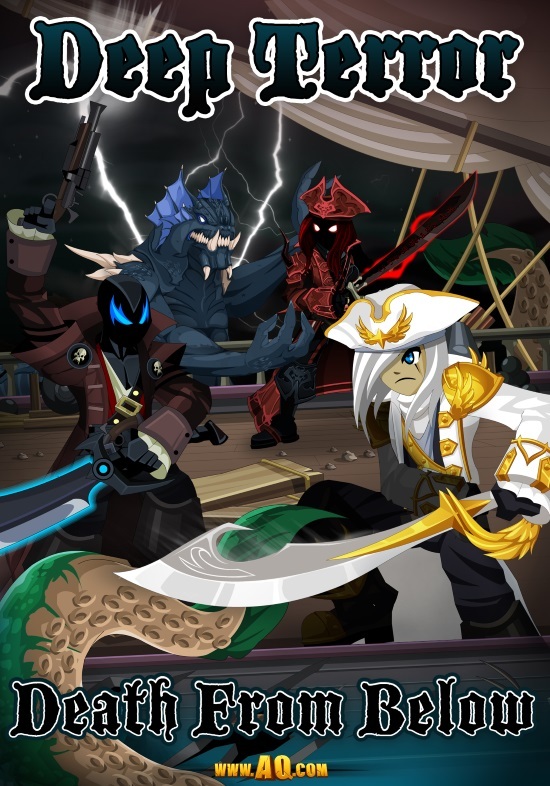 Some of the most popular gear in AQW, the Naval Commander armors will let you look your best while beating the worst bosses we can throw at you... perfect for scoring the greatest loot and the best booty in-game! 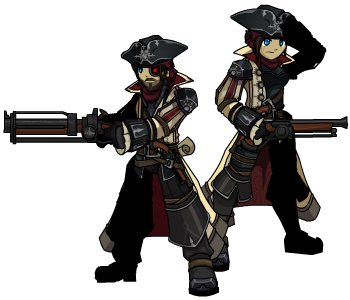 And this year we've got something completely NEW - the Naval Commander CLASS! 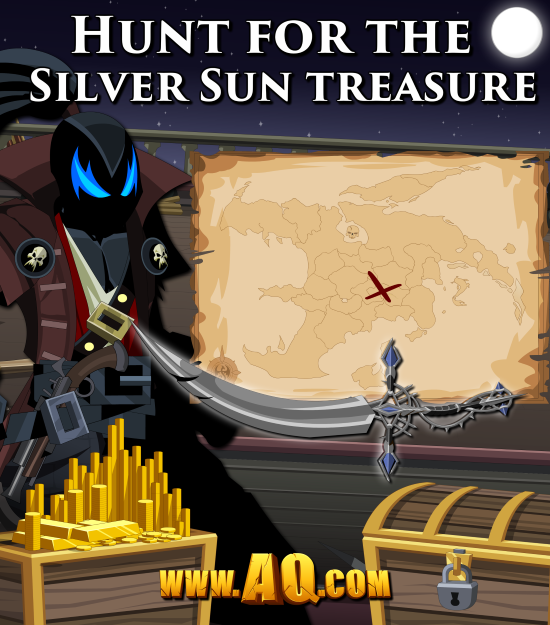 The Last of the Silver Sun Treasure is Now Here! Yarrrr! Talk Like a Pirate Day be almost upon us, and that means it's time to hunt for TREASURE! 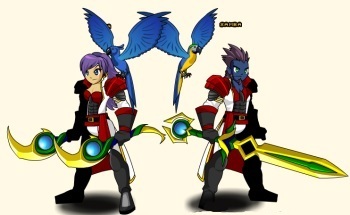 Talk to Esprit d'Cour in Battleon to begin the tunt for the color-customizable Silver Sun Cutlass! Use the map to find the area in-game to hunt through... then prepare to battle ALL the monsters to see which ones drops it! 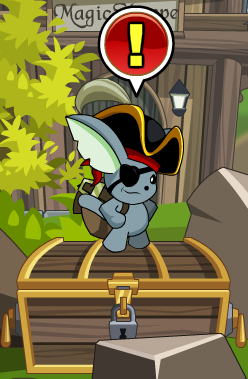 Talk to Quibble for all his new Naval gear! Log in this each day this week for new treasure! Yarrrr! Talk Like a Pirate Day be almost upon us, and that means it's time to hunt for TREASURE! 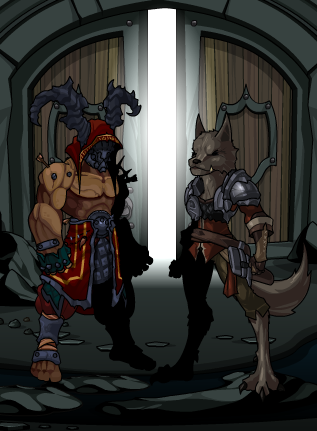 Talk to Esprit d'Cour in Battleon to begin the tunt for the Silver Sun Pistol! Use the map to find the area in-game to hunt through... then prepare to battle ALL the monsters to see which ones drops it! 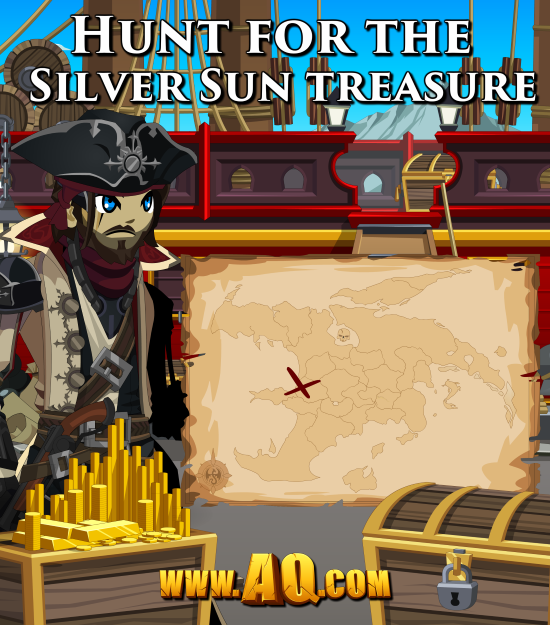 A new item will release in a new area of the map tomorrow so you can hunt for the third of Esprit's treasure chests. This is a great way to train up your class as we prepare for the Deep Terror war between the Naval Commanders and Pirates this Friday! Yarrrr... this be the Class Info Ye Are Huntin' For! It be the best holiday on the high seas! Here are a few basic things about the class that you defiitely want to know. This class is only available for a limited time around Talk Like a Pirate Day, but will return each year for Talk Like a Pirate Day as seasonal rare. It will not have a year tag. The current plan is that the same version (with the same art) is made available each year. Naval Commander Class Skills Breakdown! A Naval Commander is the leader of their crew. Although they can fight as an individual they work best when they fight alongside their crew. 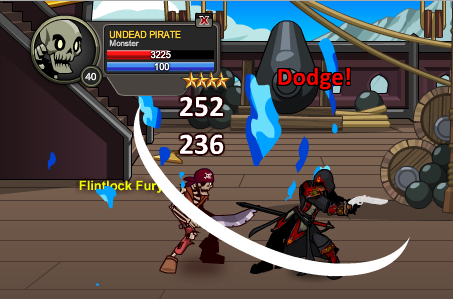 What this means for you is that for each additional person in your party the damage output of your Naval Commander class will increase. This works just like the Paladin High Lord and DoomKnight Overlord Classes for those of you who want an example. Now that we have the basics of how it works out of the way we can move onto the moves. 15 mana, 3 second cooldown. A strike dealing light damage (Damage is increased by the number of people in the party) that forces the target attack you for 8 seconds and decreases the target's chance to hit by 25% for 6 seconds. As a leader you need to know when to take one for the team. This moves lets you draw attention away from your crew and forces the monster to attack you, but seeing as you are a strong intimidating leader your opponent is less likely to hit you. This is great for when your friend is about to die, but nobody can heal him just yet, or just for reducing total damage being taken in general. The attack is not great, doing only light damage, but it does get more powerful with the party buff. A strike dealing moderate damage to multiple targets. (Damage is increased by the number of people in the party) All targets hit suffer a haste reduction of 20% for 4 seconds. This is your dependable damage move and it attacks 4 targets at once. Of all your moves you will probably be using this one the most. With 4 enemies attacking you, you’ll really want to make sure you’re in a team that has your back. The move does help out your team a little by slowing down your opponents’ attack speed. With a full party this turns into nice constant AoE damage. 25 Mana, 12 second cooldown. The presence of the captain inspires everyone in battle. Gives an AoE HoT (healing power increased by the number of people in the party) and increases the target's chance to dodge by 30% for 8 seconds. Things don’t always go your way in battle. As a leader you need to be be able to inspire your crew to keep fighting even when the odds are not in your favour. Your heal over time is not particularly potent, but it does effect 6 players. This is the sort of move you really want to be in a party to make useful. The true strength of this movie lies in the dodge buff it gives you. This dodge buff ONLY affects the caster. You can’t give the dodge boost to anyone else except yourself. This is a really good move to use in combination with your first move since both effectively reduce your targets chance to hit you. You’re basically taking damage off your team mates without having to sacrifice much of your own HP at all. These passives are self explanatory. You crit more and get hit less. Because you are using the Warrior regen model, you’ll crit more often and gain more MP in that sense. That said, you will also be dodging more often and so your opponents will not be hitting you as often or restoring as much MP that way. 35 mana, 15 second cooldown. Deals a large amount of AoE damage to it’s targets. (Damage increased by the number of people in the party). It also has a 50% chance to stun opponents for 3 seconds. This is effectively your nuke. It deals the largest damage out of all the moves, attacks up to 4 targets, and as you would expect, becomes more powerful the more people are in your party. Because the cooldown takes a while, it’s a sudden burst of damage as opposed to something you depend on. But if you time it right it can make all the difference, especially with that 50% chance to stun your opponents. After playing around with this class, I would say it performs best as a strategic addition to any group, especially while in a full party. You’ll want either Fighter Enhancements, Luck Enhancements, or a mixture of both. You can use it for support or tanking in a limited capacity. With a full party it can even function as a farming class. When you take a close look you’ll realise that all 4 moves, and the second passive, either slow your enemies, reduce their chances to hit you, or outright stop damage hitting you. This may seem good, but with the warrior regen model what this effectively means is that MP regen from enemies attacking you is significantly reduced. You’ll have to plan your moves carefully to avoid running out of mana, or use the Mana Vamp enhancement. Spiral Carve or Health Vamp would also be useful. A couple of final thoughts to leave you with. I might have another surprise ready soon but we’ll have to see. That, and I am already working on my next class which has not yet been announced. Have fun guessing. * This is how I normally start my videos. It seems weird to type it instead of saying it. Don’t look at me that way… I thought it was funny. ** I’ve been part of the AE team testing releases for about 6 months now, but I have recently started designing classes. This is my first class design and I’ve had a lot of fun making and testing it. Making a class is something I have dreamed of doing since day one of the Beta and it’s amazing to be able to share this class with all of you. If you know me in game, you’ll know that 99% of the time I’m wearing the original Naval Commander armor, so you can imagine how excited I am to make a Naval Commander themed class. *** For those of you who don’t know, International Talk like a Pirate Day is September 19th every year. It just so happens that this year it is also on release day and we can actually have these items available on the exact day. Yarrrr! Talk Like a Pirate Day be almost upon us, and that means it's time to hunt for TREASURE! Talk to Esprit d'Cour in Battleon to begin the tunt for the Silver Sun treasure gear! Use the map to find the area in-game to hunt through... then prepare to battle ALL the monsters to see which ones drops it! 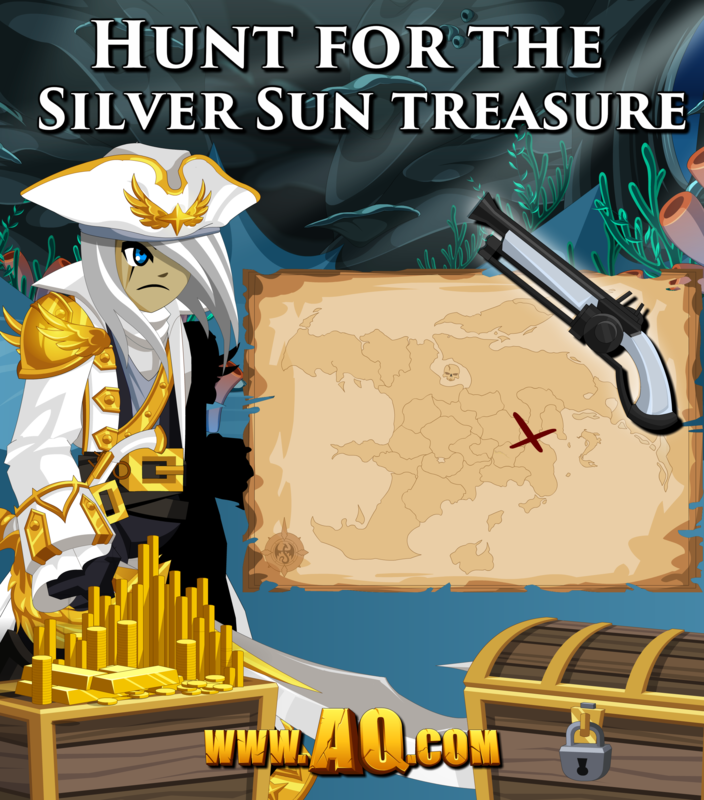 A new item will release in a new area of the map tomorrow, and then on Thursday, you can hunt for the third of Esprit's treasure chests. This is a great way to train up your class as we prepare for the Deep Terror war between the Naval Commanders and Pirates this Friday! The Queen of Monsters has risen, and as your allies take stock of the destruction around them, you receive a mysterious scroll from a shadowy organization calling themselves “The Council.” Loremaster Maya cannot say who it is from, only that you MUST discover where they are hiding are as soon as possible… and that if you can decipher its hidden message, the scroll will guide you. /Join Summon to begin! Decipher the scroll and follow the portals in each area of the map to go from place to place, completing the tasks set for you by the Watchers! In the end, make your way to their hideout to find out what new journey awaits you later this month! Every Treasure Chest needs a key to unlock it... and THIS blade is your key to one of 3 varrrrrrry cool rewards! 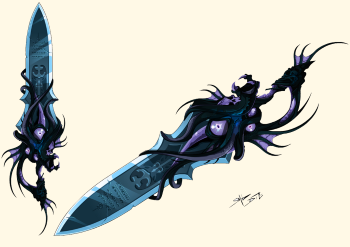 Find this blade in the Deep Terror Rares shop in your game menu for 1000 ACs. When Talk Like a Pirate Day arrives next week, this blade will let you quest once a day during the event to open a rare treasure chest and claim its prize! One of AQWorlds' finest artists, Aranx, is leveling up in real life this Saturday, so we're celebrating his birthday in-game starting tomorrow night! /Cheer for him and the gear he's so lovingly crafted you to thank you for playing AQW! This week, we're releasing the Dage x Laken and Dage x Blade collaboration gear! Dage teamed up with these other two two awesome AQW artists, Laken and Blade, to get some of those sketches Flashed out and ready for you! Chaos Finale Gear Leaves Monday! We said all the Chaos Finale rares would leave game permanently tonight, but since we did not announce that earlier this week (and to give everyone a last chance to get the gear), we're removing the shops on Monday. Enjoy the last chance! Next week: Talk Like a Pirate Day 2014! 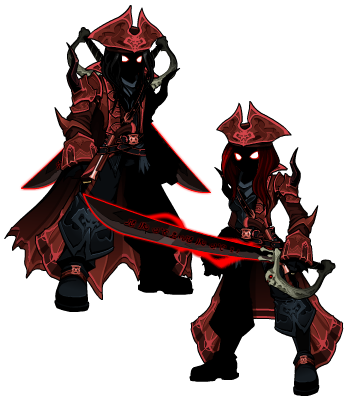 With the DoomKnight and Brilliant Naval Commanders, the ArchFiend Pirate Captain. the Deep Terror: Death from Below Pirates vs Naval Commanders WAR... and so much more! This Week's Wicked Rewards Preview is Here! After you've played through tomorrow night's release, hunting down the Council that has summoned you, make sure to check your game menu for the bounty of loot and beautifully-bladed booty we've got in store! Every Treasure Chest needs a key to unlock it... and THIS blade is your key to one of 3 varrrrrrry cool rewards! 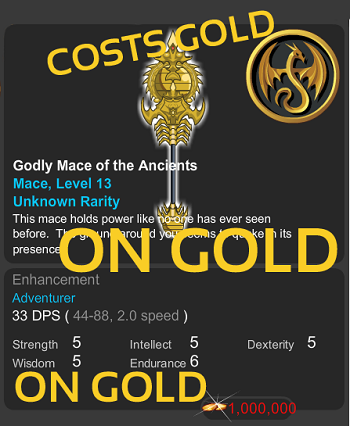 Find this blade in the Deep Terror Rares shop in your game menu tomorrow night for 1000 ACs. When Talk Like a Pirate Day arrives next week, this blade will let you quest once a day during the event to open a rare treasure chest and claim its prize! EVERY MORNING when Dage comes into the Lab, he does a warmup drawing or seven. With so many sketches piling up, we knew we had to enlist extra help to get this gear in-game! That's why Dage teamed up with two other AQW artists, Laken and Blade, to get some of those sketches Flashed out and ready for you! Books, Brains, and 10% More Bonus Points! Starting today and running through September 19th, you'll get 10% more Artix Points to upgrade or get ACs in AQWorlds and all your other favorite AE games when you pay using your credit card, or Paypal! 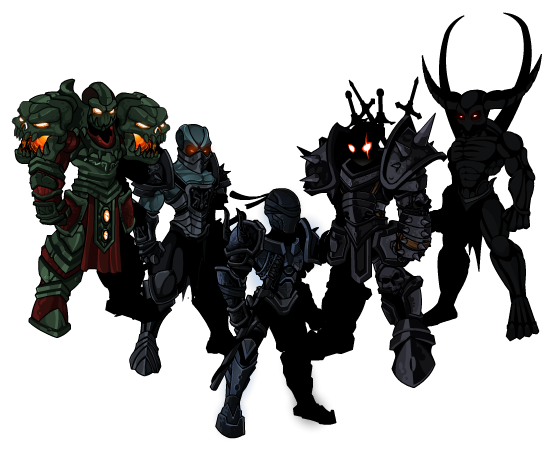 DoomKnight and Brilliant Naval Commanders! Stock Up For Talk Like a Pirate Day Loot! With Talk Like a Pirate Day coming up, this is a good time to cash in any unused gift cards you've got lying around the house, because Talk Like a Pirate Day starts NEXT FRIDAY, and you're going to want get your land-lubbing hands on this shiny, shiny loot! Every year, we have our big summer event, and then we hit September running as we prepare the newest, craziest releases leading into the holiday season... and this year is no different. Except it is, because it will be WAY COOLER! Who has time to wait for the weekly newsletter in their inboxes anymore? I say... to the victor goes the spoilers! 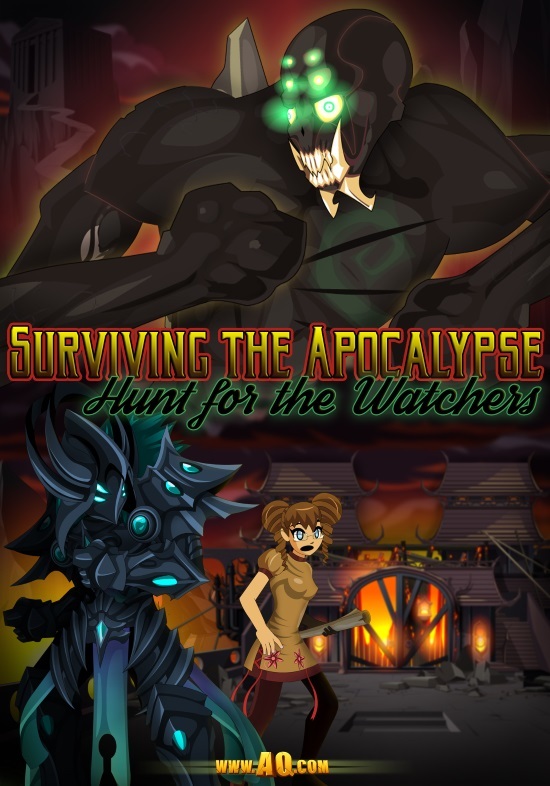 The Queen of Monsters has been freed—now the world has fallen into complete havoc! Mountains are falling… seas are rising… and no one knows what will become of the world this Friday at sundown! Dage knows a thing or two about being Evil and he's teaming up with other AQW artists to prove it! Dage's Deep Terror Blade: unlocks exclusive gear in Talk Like a Pirate Day! Dage may be the Undead Lord, but he certainly knows how to take care of his loyal friends and followers. If you haven't declared your allegiance to him, now is the time! Score the motherload of all pirate treasures with this exclusive Rixty promo! Be sure to read more to see all the details, and best of luck to you! Soon: Talk Like a Pirate Day! Ahoy matey! 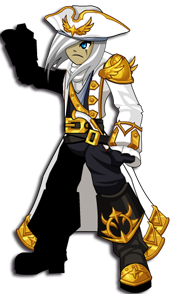 Quibble be settin’ sail to Battleon next week, and bringin' his Naval Commander CLASS, yarrrr! Quibble be havin’ somethin’ fer sea dogs ‘nd landlubbers alike, so make sure ye be ‘round next Friday, September 19, fer ye best Talk Like a Pirate Day event! 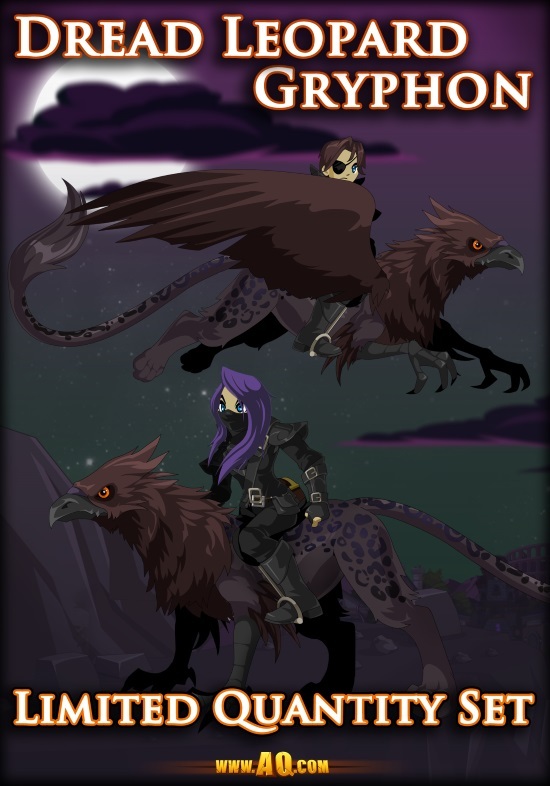 Gryphon Mount Armors Still Available! Head to our Limited Quantity Set page to grab one of these insur-MOUNT-ably awesome sets! Each set also comes with a unique badge in your Book of Lore! The Limited Quantity Set packages will leave this Friday, September 12th, at 11:59 PM server time! Thanks for your battling alongside us as we fight Chaos in AQWorlds, and congratulations on the anniversary of your Brasilian Independence Day (one day late)! To make sure ALL our players can share the holiday excitement, we've made the Brasilian Independence Day items available to everyone! You can find some of our most colorful, electrifyingly-awesome Brasil-themed items in your game menu. Your allies need you... but so does "The Council"! This Friday, you'll need to journey around the world you so recently tried to save, completing the tasks described in the scroll... but first you'll need to decipher it! * Loremaster Maya believes these tasks are designed to prepare you for the coming mission ahead, so you'd better prep your biggest blade, a six-pack of HP potions, and a battle pet or two because the journey ahead of you is fraught with titanically-treacherous danger! * Hint: if you haven't trained up your alchemy ranks yet, you might want to get started on that! It will come in handy for one of the early quests. /join alchemy to begin. Upgrade to unlock the Legend-only BeastMaster Class! 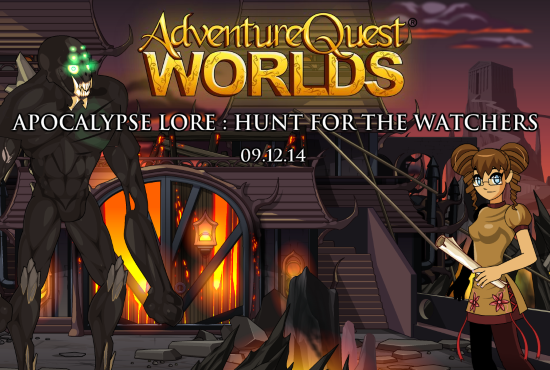 Monsters are rising up across Lore, taking advantage of the Chaos running wild. Faith, one of Lore’s most skilled BeastMasters, is searching for help to battle them into submission. She is calling all Legends to accept her quest to become a Legendary BeastMaster, and the fight to become the best begins this weekend! 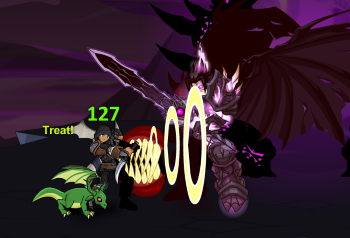 Talk to Faith in Battleon to become a BeastMaster! Vital Information for All BeastMasters! The Legendary BeastMaster was designed by Aster, one of our volunteer Class creators. You can see his skill writeup here. GOOD NEWS! You'll need to be a Legend to unlock the Class, but once you have, you'll be able to use it forever. /cheer This is our way of thanking all of you who have purchased a membership to become a Legend. Rank up your BeastMaster reputation! 6 level-locked quests will be available to help you rank, each giving more rep than earlier levels. You can also unlock the BeastMaster Daily Quest for TONS of extra rep to help you rank up even faster! Quest to Unlock Vokun's Dark Gear! If you have not yet encourntered the Lord of the Forgotten Tombs, /join underworld and explore its dark paths until you encounter Vokun. He's got 4 new quests for you AND a merge shop full of dark and deadly gear! Battle monsters to earn the Unitas Fragments to create the items, then prepare to RULE the WORLD! The gear listed below can be created through battling for merge items, except for the Vampire of Vokun, which drops from the Twisted Trust quest. 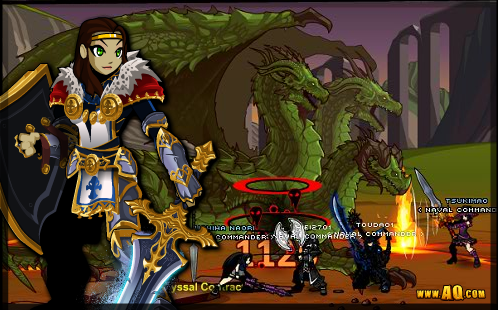 The Bladelord of Vokun set (the center armor in the picture above) can be purchased for AdventureCoins. Note: The Founder of Vokun set will be delayed until October, until after Talk Like a Pirate Day. But that just means more Vokun releases for all you darkness fans! Head to our Limited Quantity Set page to grab one of these insur-MOUNT-ably awesome sets! Each set also comes with a unique badge in your Book of Lore! The Limited Quantity Set packages will leave next Friday, September 12th! We're not going to spoil this one for ANYBODY... except to say that if you've finished the Drakath Armor quest and HAVE the armor, you should head to Battleon, then go North. You'll find a Chaorrupted Time-Travel Fairy. We don't know her name, so I just call her Skittles. Accept her quest. Do it. 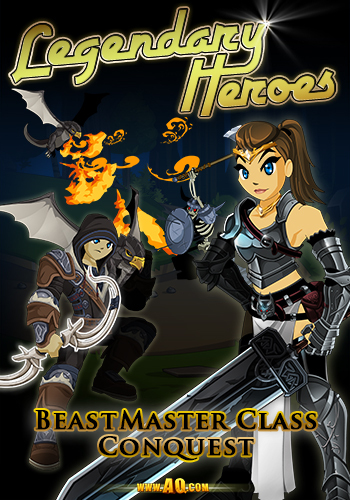 Tomorrow: Legends Can Unlock BeastMaster Class! Heyo. I’m Aster. I’m not that guy who did the last couple classes, and neither is Zereldo, the other guy who has been given the privilege of designing classes. I’ll spare you my life story and jump right into what you came here to read: The BeastMaster Class Breakdown! The breakdown that gets its own Lorepedia page will have more specific information. It’ll have things like the Recommended Allies section and… Numbers.. And.. A bunch of percent symbols.. Anyway, breakdown time! With all the monsters in this world you would think that someone would go out of their way to tame them and make them into something other than a nuisance. Well, someone did! Faith the BeastMaster will soon arrive in the town of Battleon. She’ll be your tutor. Very soon you’ll learn the benefits of commanding your very own beasts as you fight alongside them during battle. Want to find out how to get it? 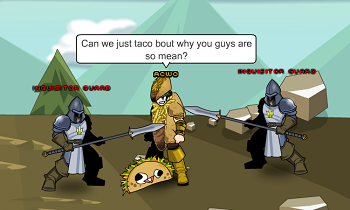 Talk to Faith in Battleon. Get up to Rank 10 BeastMaster rep OR buy it for 2000 ACs. As long as you're a Legend. Can't get this Class without being one. The Beastmaster can call upon any manner of creature to fight by their side. How? I dunno, Animals just like them. They use their skills in animal communication and improvise strategies to defeat their enemies. Description: You and your chosen beast fight as a duo, and attack swiftly together. As a Beastmaster, you’ve studied fighting alongside a companion. This means you don’t get quite as much practice in normally, but you can alternate and randomize your rapid attack to disorient the enemy. Description: Sensing that you are in danger, your companion has brought you a health potion. Where do they find these? Well it’s yours now, so use it wisely! You know how sometimes a pet will get into something it shouldn’t or bring you a gift you REALLY wish it hadn’t? Well, it turns out your beast is smarter than the average pet, and knows where someone’s stash of potions is hidden. That’s a way better present than a smaller, less-living animal! The heal is moderate and has a heal over time attached. You can use this move to summon a battle companion to your side, if you don’t already have one equipped. Description: You command your beast to attack the source of your enemy’s vision, even if they have no eyes. Clinging to them and attacking is quite the distraction on it’s own! There is a technique passed down from generations of heroes and their familiars.. A tactic that has become a staple of all underdogs.. A called shot to the eyes! This is an additional strike for extra damage that will lower your enemy’s hit chance and cause a DoT. Description: Command your Animal Companion to distract your opponent by attacking it from a different angle. This opens up weak points and keeps the enemy busy! This is another extra attack. if it lands, you will distract your enemy, lowering their haste. There’s a small chance that the attack will land where your opponent least expects it, stunning them! A few words about your newly domesticated beast: They like praise! Praise them! Don’t be afraid to baby-talk them, either. I don’t know why they like that. That’s weird. Description: You stick a piece of delicious bacon onto your enemy. Your beast becomes fully focused, attacking your target voraciously and relentlessly pursuing them! You’ve had a carnivorous pet before, haven’t you? The Bacon scent wafting from your now heavily confused and greasy enemy motivates both you and your beast to fight harder and faster while causing the poor bacon’d fool a lot of difficulty when trying to avoid you both. This skill is costly, but in testing, I’ve seen that we’re able to loop the skill. So that’s what you should expect from a BeastMaster. The skills are a tiny bit costly, but your attacks HURT and your mana regeneration is like a spellcaster’s. You’re pretty okay support with your ability to cut hit chance and haste, and the dodge debuff from Treat is massive AND unavoidable. This class went through a number of changes both big and small, but we’ve reached a stage where most of the testers who have it enjoy using it. I’d mention what class I’ll be designing next, but I’d probably wake up with some missing parts if I did that. Please enjoy.